There were some infill row houses just built at 45th and jarboe that have alley entry garages. I'll try to snap a pic sometime. I think they fit what people are hoping for farther north in midtown. That is a fantastic street. 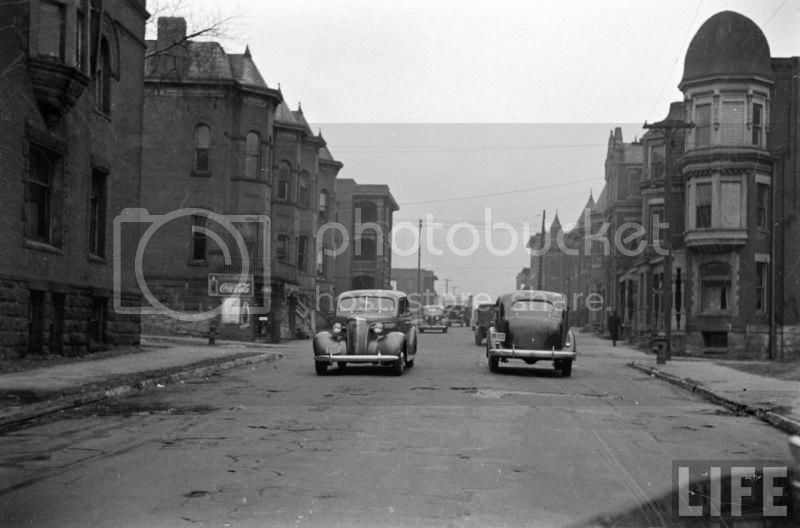 I remember searching for photos of neighborhoods like that in KC, i've never seen that photo or the others. Last edited by pash on Fri Feb 10, 2017 11:09 pm, edited 1 time in total. That's what I've noticed while trolling the 1940 photos. There were blocks scattered all over the place in places that are now either highways or surface parking lots. Midtowners, I hope you're ready and willing to hold the City & developers to the plan. Downtown still has to 'gently remind' people at times that GDAP is a thing. Not sure if this has been posted but the old Berbiglia spot at 43/Main is fenced off. Any scoop on what's going in there? Mid-rise market rate residential would be nice there, with streetfront retail - something like the 51st/Main project, doesn't need to be as high end. American Century owns most of that block. The Berbiglia parcel, along with the two to the west, the building south of the music store and the surface lot north of 44th are all owned by American Century. FWIW, there was a geotech drill rig on the empty parcel at the SE corner of 44th & Main a while back. Those parcels are all owned by American Century, as well. FYI - this parcel is where the original country club streetcar line was routed (veering west at 43rd & main to the private ROW behind the shops then crossing 47th & main diagonally at grade to a dedicated rail bridge east of main). a modern streetcar can make the grade between 43rd and 47th without leaving main street. CPC approved in september, PZED committee approved in december, full council will take it up on jan. 7.
if you live in midtown, your work is not done. just like the greater downtown area plan, you must remain vigilant that developers and city staff conform to the plan. this is best managed through an implementation committee that meets regularly. I see there are a lot of vacant lots behind the plaza up on those hills. I think that would be a great place for some parking lots. If people cannot walk up a hill then they can stay home! We need more open parking down there especially at night I don't like going into those parking garages alone. Come rally against parking lots!